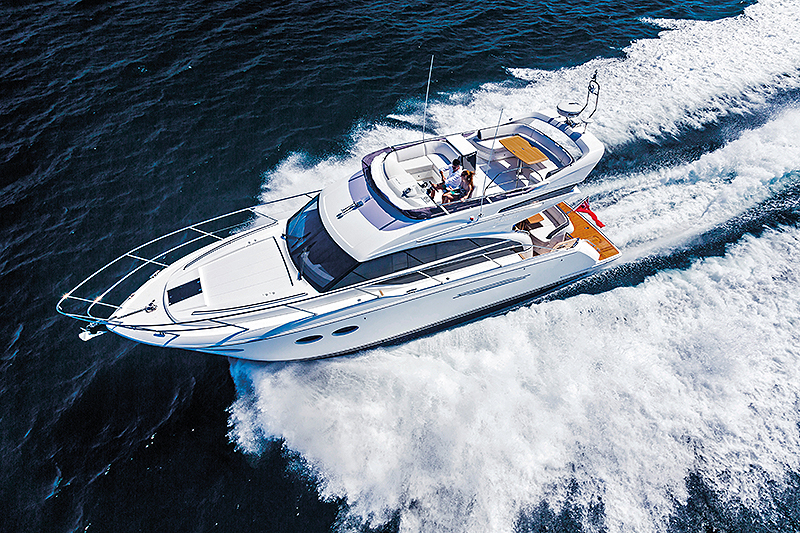 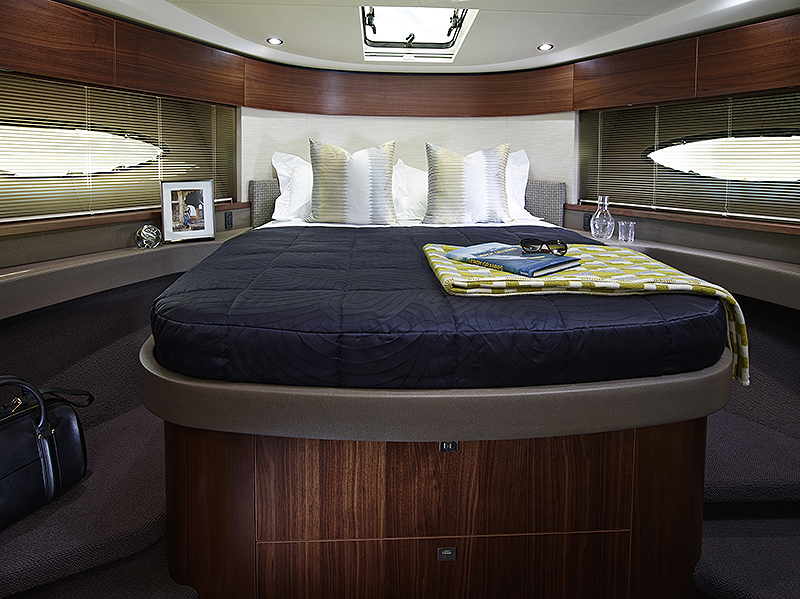 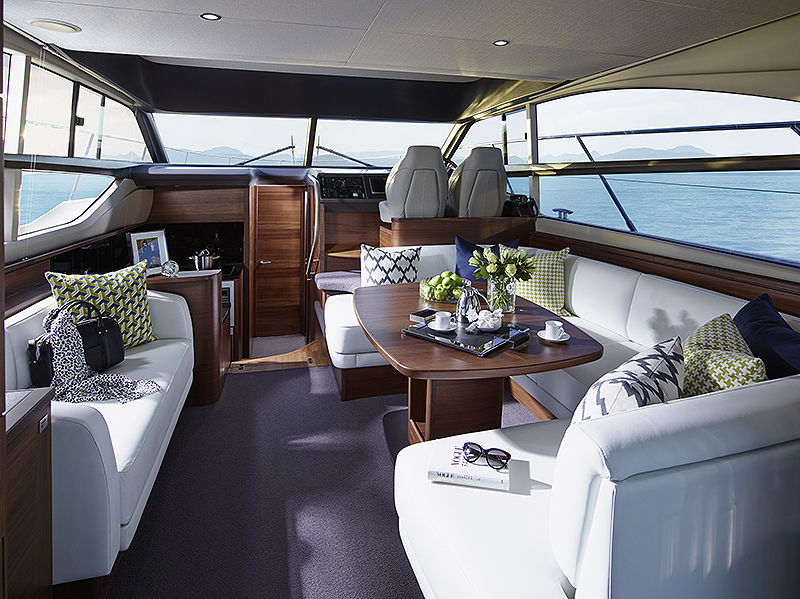 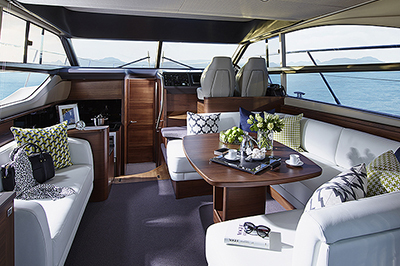 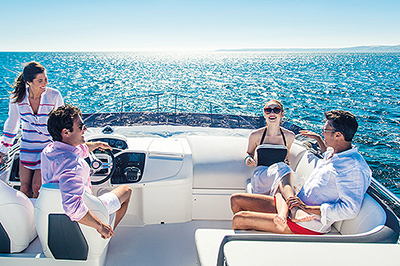 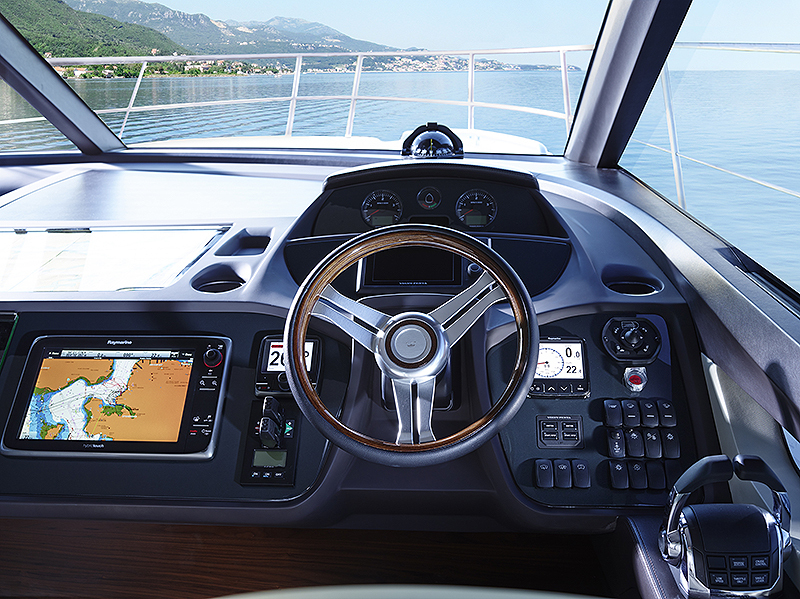 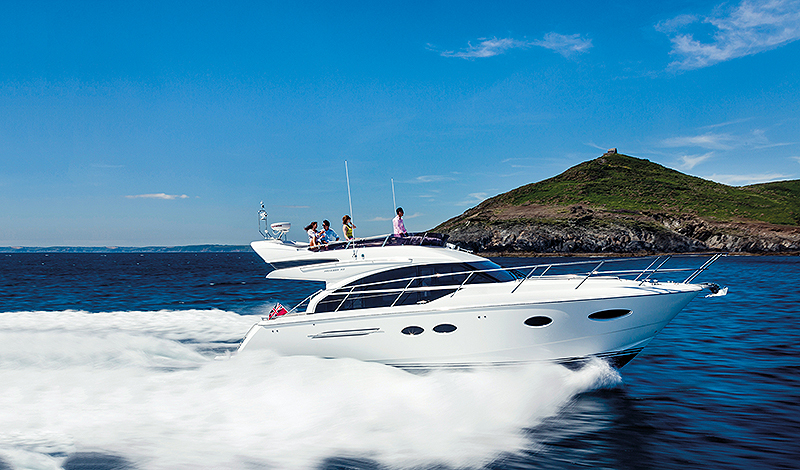 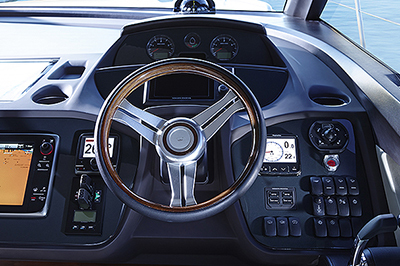 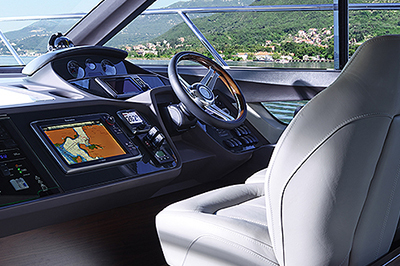 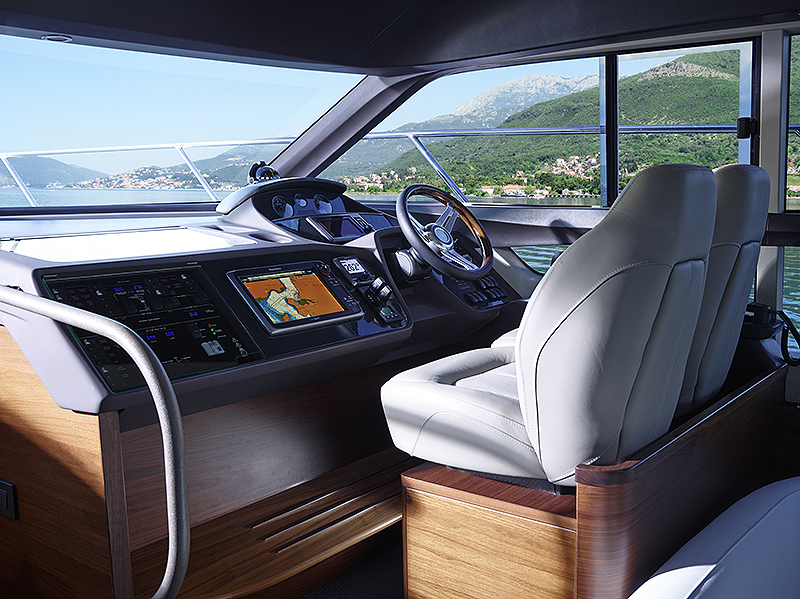 The amount of interior space is remarkable as is the level of luxury on offer. 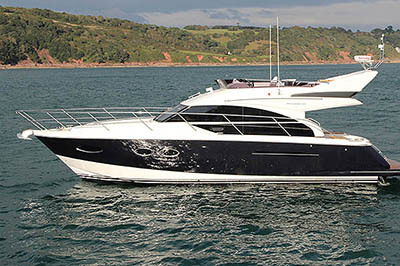 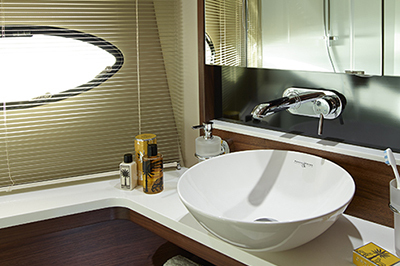 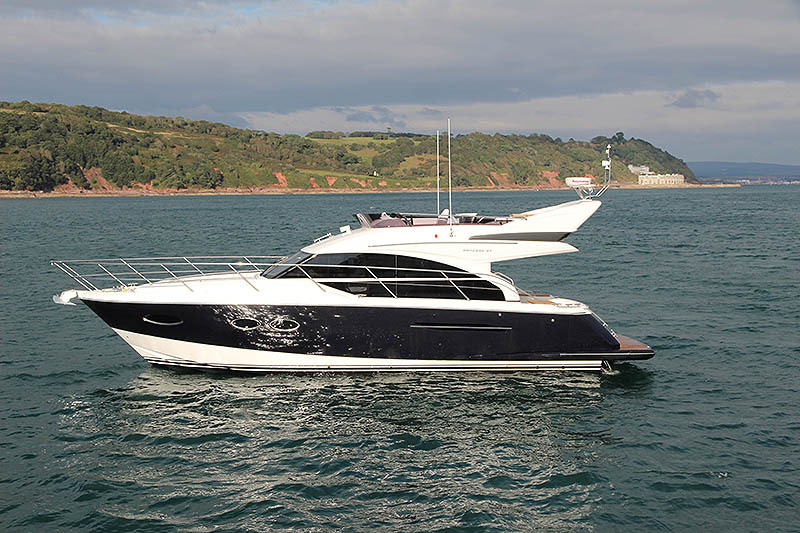 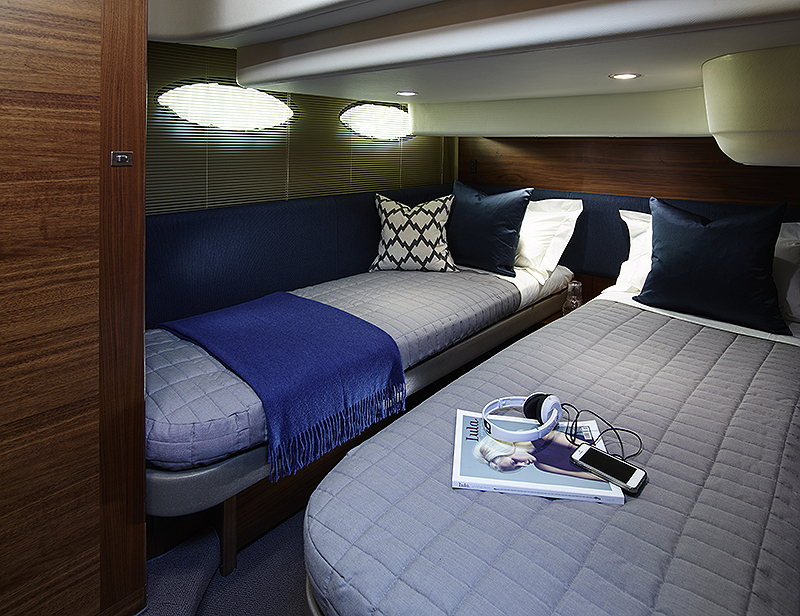 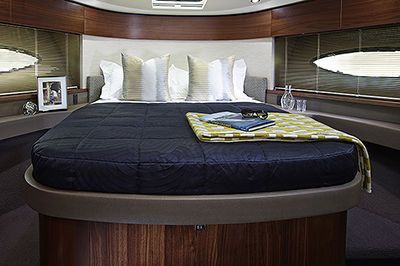 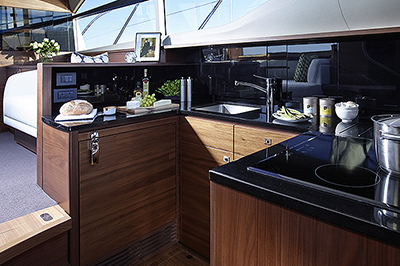 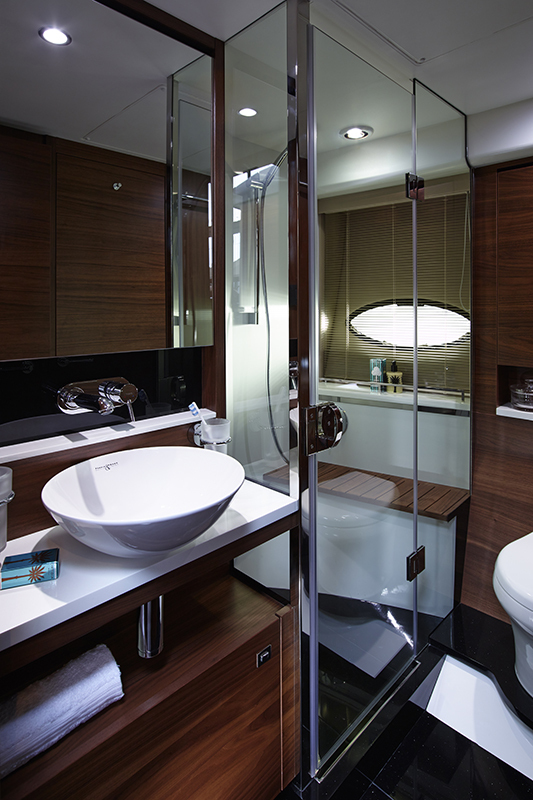 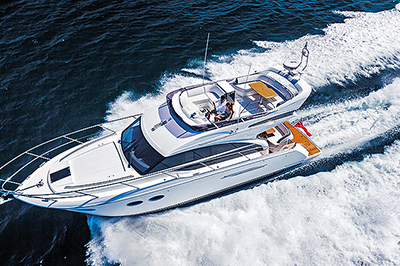 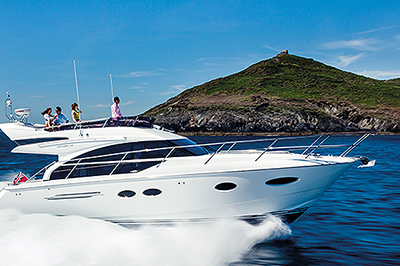 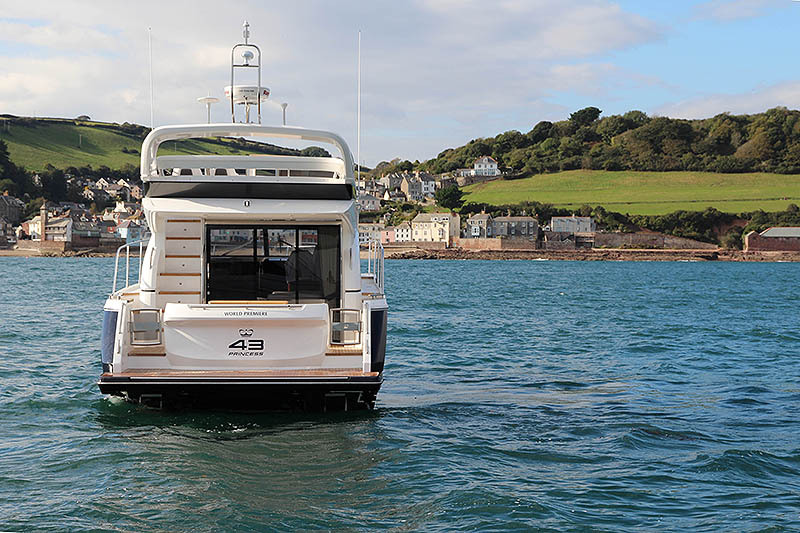 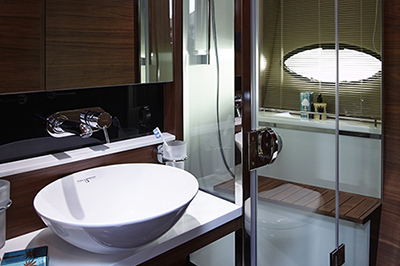 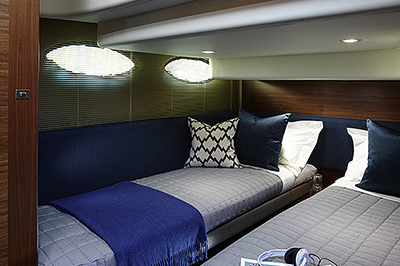 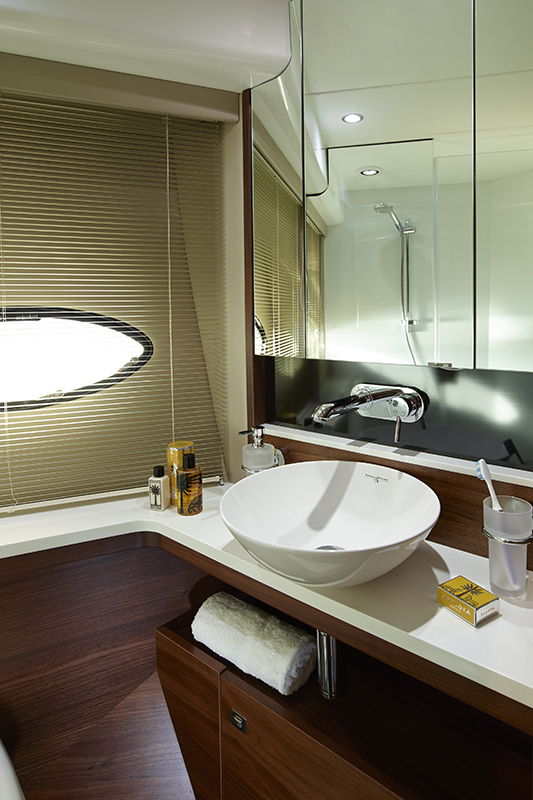 Indulgent gloss or pure satin cabinetry, two incredible en suites, each with its own separate shower stall, and a comprehensively equipped galley underpin the high specification of this award-winning yacht. 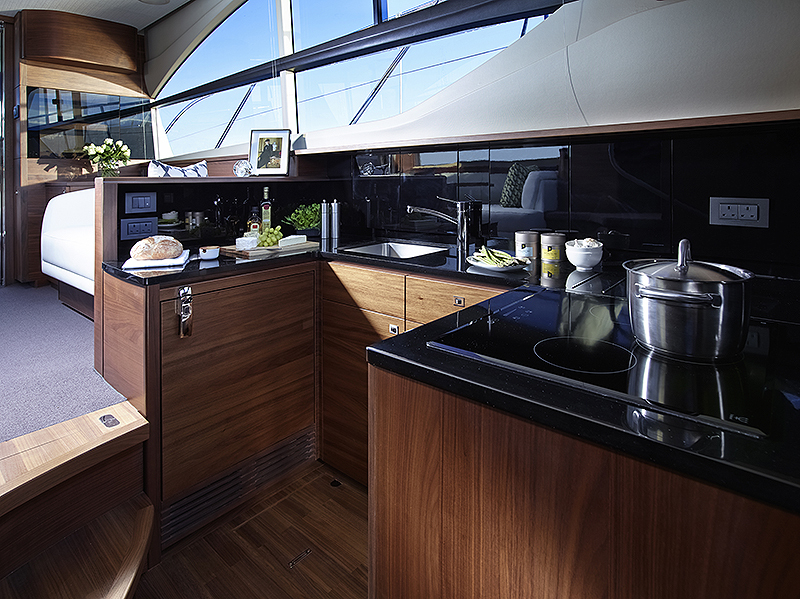 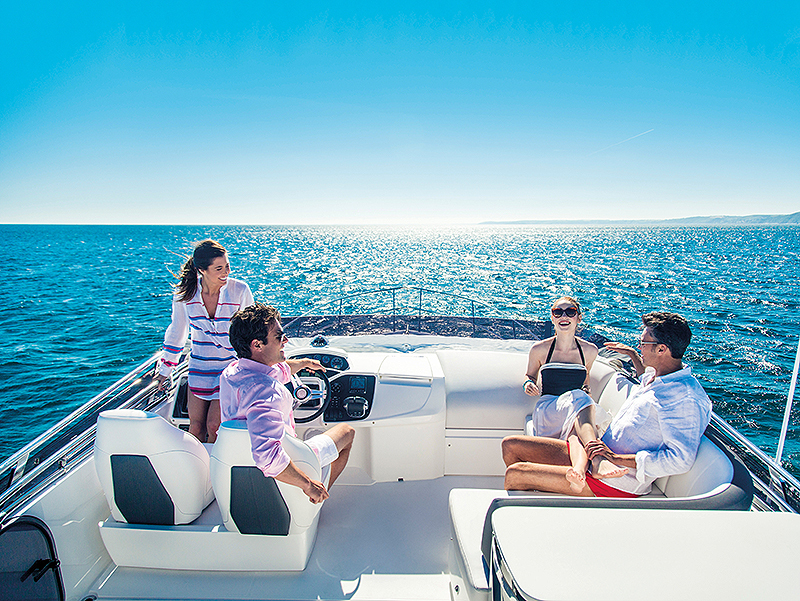 The forward master cabin enjoys excellent headroom and includes plentiful stowage, while the guest cabin can be specified with electrically sliding berths to effortlessly convert a double cabin into a twin.